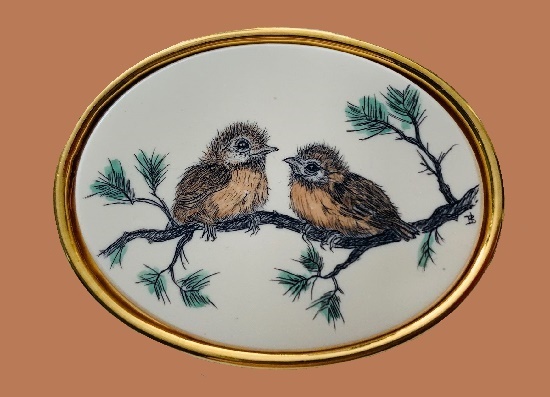 Traditionally, Stephen Barlow made his oval-shaped brooches on ivory-colored polymer base. 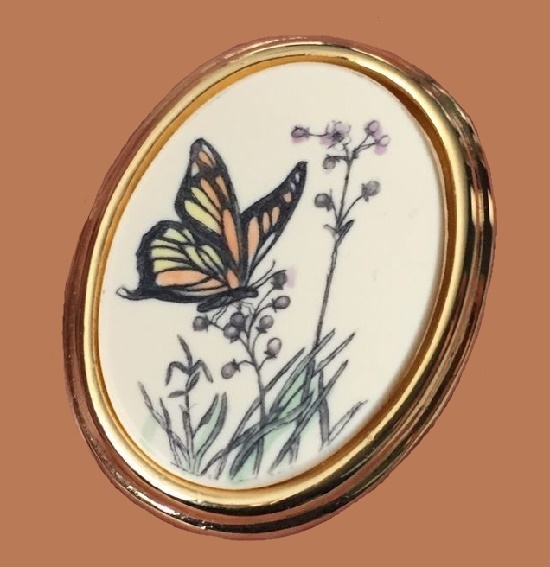 Stunningly beautiful hand-painted plots included motifs inspired by nature – landscapes, birds and flowers. 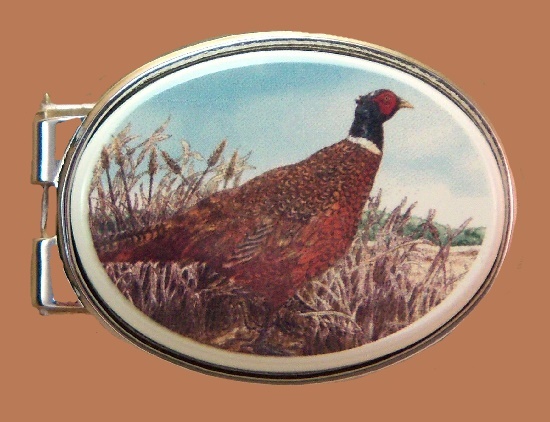 Collectors and lovers of vintage jewelry especially appreciate Barlow’s decorations of the 1980s-1990s. They have a special poetic and extraordinary beauty. Opened in Providence in 1978, Barlow Desings, Inc. was a small design studio that created exquisite collections of jewelry. 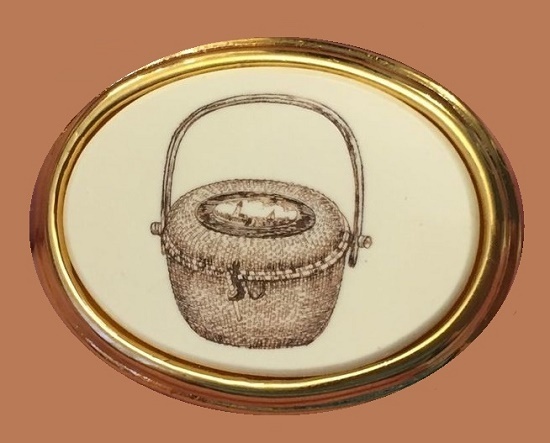 Also, gifts and accessories depicting Stephen Barlow’s engravings made in the scrimshaw technique. 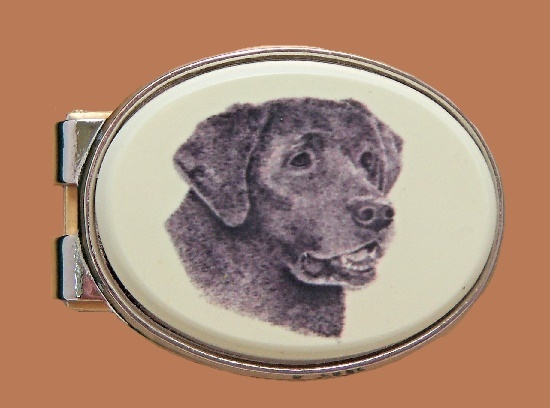 Especially popular and desirable among Americans are gifts for men from Barlow Desings. 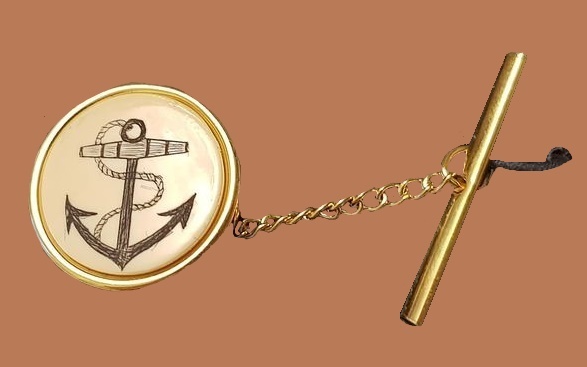 Among them stylish money clips, tie pins and sets of cufflinks, pocket knives, key rings, and much more. 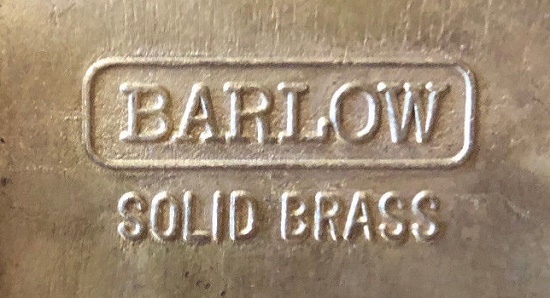 Traditionally, Barlow brand jewelry includes high quality and original design with various themes: sports, marine, floral or retro and so on. 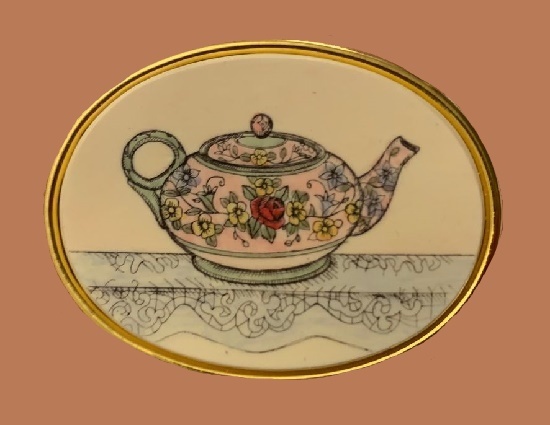 Artfully tinted by hand, each drawing or pattern emphasizes the beauty of engraving. American artist and an outstanding master engraver Stephen Barlow has been creating works of art for over 40 years. He works in the style of realism, with exceptional detail and classical composition. His engravings depict magnificent images of American landscapes, and many of these original works decorate the galleries and museums, as well as private collections. 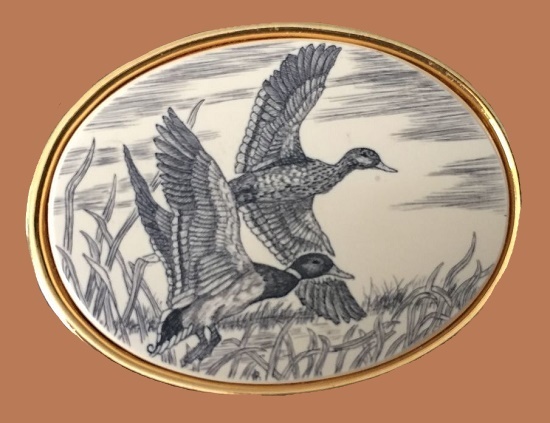 Scrimshaw technique – a drawing on a bone with a tint, an unusual and very rare art of creating beautiful works. A unique way of “drawing” on the bone appeared in 1745-1759 in the American whalers, who put pictures on mammoth tusks, walrus tusks or whale teeth. In fact, this technique is very complex and painstaking. However, the end of the whale era, by and large, marked the end of the art of Scrimshaw. 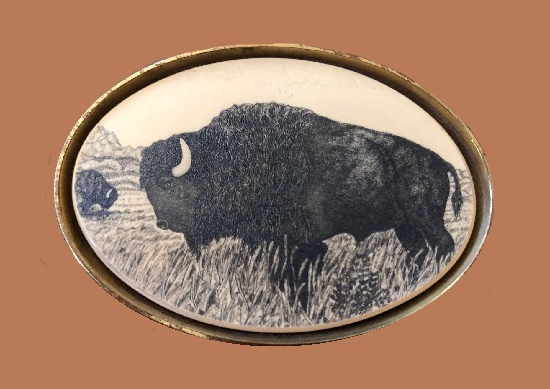 In the early 1900s, Scrimshaw became a lost art, although a highly educated part of the public began to show interest in this natural antiques. Due to the rich maritime history of the east coast of America, it became the place of purchase and sale of works with a maritime theme. 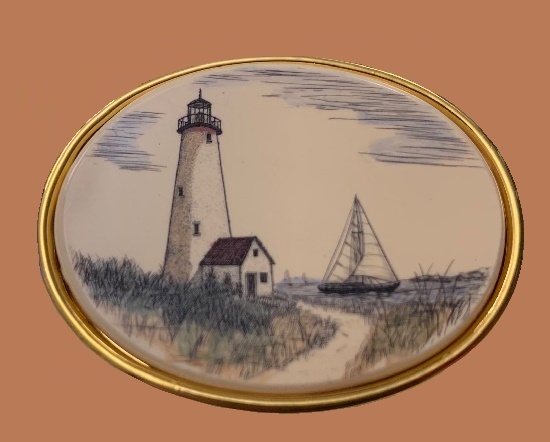 In the late 1950s and early 1960s, scrimshaw art gained worldwide recognition thanks to the large collection of US President John F. Kennedy. 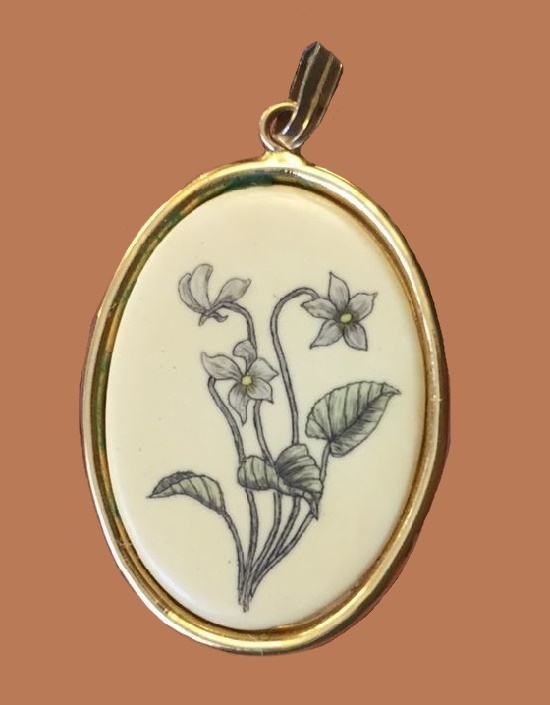 Nowadays, a product made in the Scrimshaw technique is certainly a rare and original gift, because very few people around the world own this art. 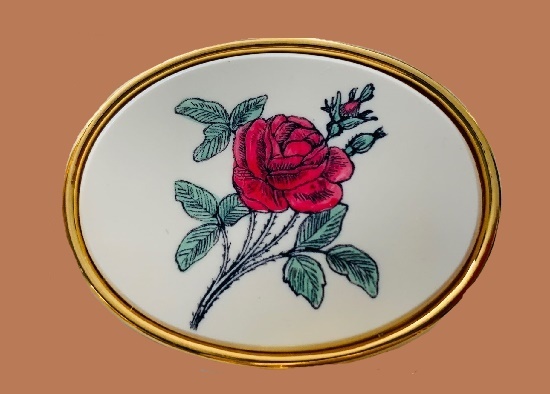 According to sources, not more than a hundred people belong to a limited circle of craftsmen working in scrimshaw technique.